Eons ago, Christina Aguilera came to fame as a Mouseketeer, but it seems she and the big cartoon rodent have since grown apart, based on her recently calling Mickey "an a*****e". The singer and judge on "The Voice" celebrated her birthday with friends two weeks ago at the California theme park, where she asked Mickey Mouse for a photo. 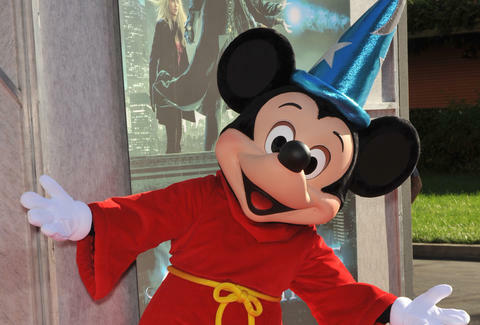 But unlike a genie in a bottle, Aguilera’s request didn’t rub Mickey the right way; the man in the suit said his shift had just ended, and he declined the photo op. Aguilera, being a diva, pulled the, “Do you know who I am?” card and proceeded to call Mickey an "a****e", before her cohort hurled further verbal abuse at the cast member. Disney security turned up soon thereafter, though Aguilera and her troublemaking friends had already left. Mickey -- who is definitely a bigger star these days than Xtina -- was apparently taken to a “safe zone”, where he recuperated from the incident, but probably still not from the crapfest that is that "Lady Marmalade" cover. This episode goes to show: what a girl wants isn't always what she gets, even at "the happiest place in the world." Chloe Pantazi is an editorial assistant on Thrillist's travel team, and was always more into Britney. Follow her on Instagram and Twitter @ChloePantazi.